Her hands stained from removing the nuts’ moist outer skin, a young woman holds walnuts freshly harvested from the world’s largest walnut forest, near the village of Arslanbob in southern Kyrgyzstan. This unnamed traveler would have been among countless merchants, pilgrims, soldiers and adventurers who journeyed the long stretches of the Silk Road network that spanned thousands of kilometers from China to the Mediterranean Sea between roughly 500 bce and 1500 ce. By foot and on donkeys, horses and camels, traders carried raw materials like ivory, commodities like spices and finished goods like metalwork, supplying one of the world’s first international systems of commerce. Segments of the road they followed wound through ethnic populations: Han Chinese in Xi’an, Sogdians in Samarkand and Arabs in Baghdad, for example. 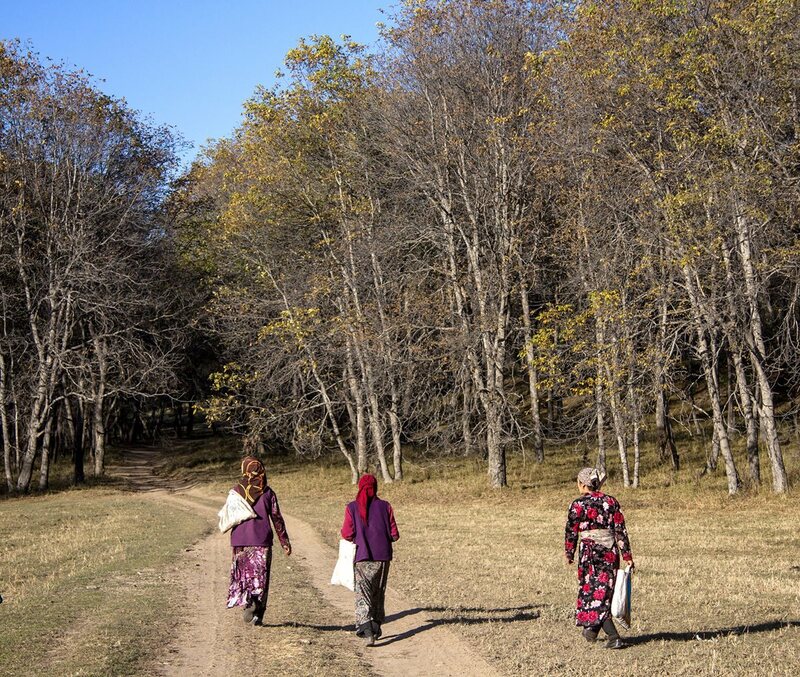 Millions of walnuts in the forest near Arslanbob are harvested each fall by families who spend several weeks at the task, including this mother and daughter. And where these trader-travelers moved, it now seems, they planted the nutritious, portable, high-calorie, long-shelf life walnut. 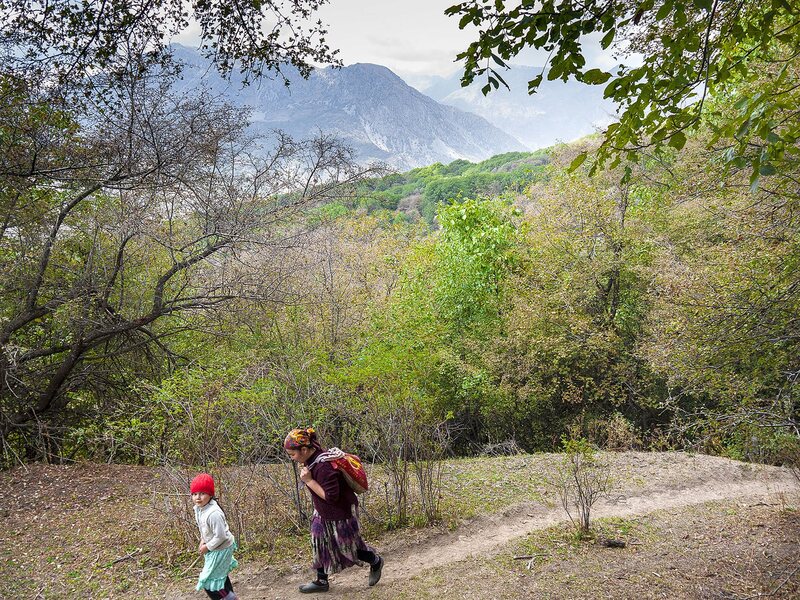 Scientists mapping both walnut forests and languages have discovered close relationships between the two along the major Silk Road routes, evidence that the spread of walnut trees was due at least as much—or more—to humans as to nature. Their work, published in 2015 in the scientific journal PLOS ONE, is changing the way archeologists look at the first cultivation of tree crops and offering insight into the future management of them. “The story of the relationship between human history and tree crops is only beginning to be told,” says Keith Woeste, a research geneticist with the United States Forest Service’s Hardwood Tree Improvement and Regeneration Center (htirc) and adjunct assistant professor of forestry at Purdue University in West Lafayette, Indiana. Woeste was a lead member of a team of US and European researchers that undertook genetic evaluation of walnut species at 39 sites across Asia, from near Lake Van in Turkey to Taishan Mountain in northeastern China, near the city of Tai’an. 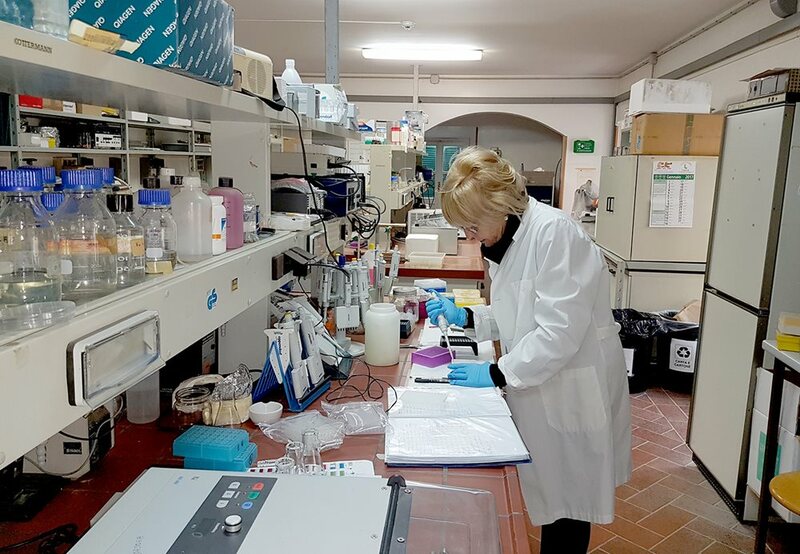 At the Institute of Agro-environmental and Forest Biology in Italy, Maria Emilia Malvolti studies genetic samples of walnuts from across Asia. “Compared to what we know about the domestication of row crops, we know comparatively little about tree crops,” says Keith Woeste, professor of forestry at the Hardwood Tree Improvement and Regeneration Center at Purdue University. Woeste partnered with researchers in Italy and England to publish findings of early walnut dispersal through human cultural interaction. At first the team was puzzled to ﬁnd that walnut’s genetic diversity and variation across thousands of kilometers could not be explained by natural evolutionary means, which would have shown roughly concentric patterns, much like ripples produced when a pebble is dropped into a pond. Rather, the traits followed east-west bands. This pointed to the possibility that human intervention may have accounted for the spread of walnuts. A key clue pointing in that direction came not from biology, but from linguistics. 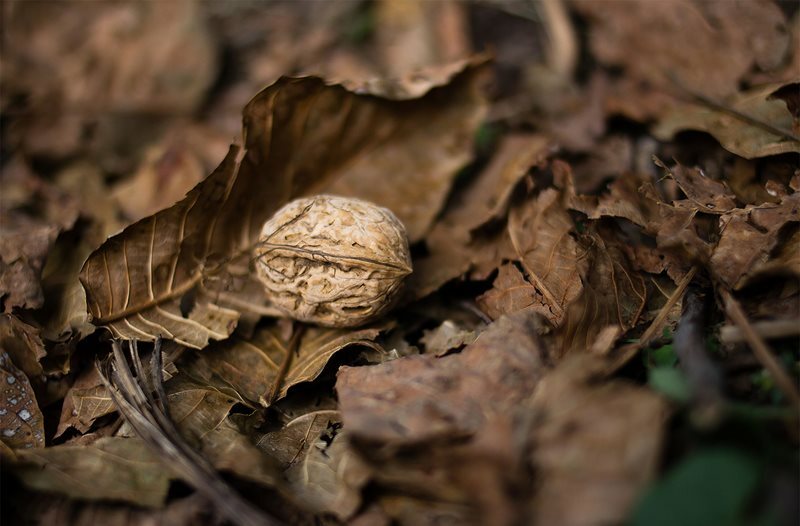 Combining genetic analysis with ethno-linguistic data, researchers from Purdue and the Rome-based Italian National Research Council (cnr) discovered a significant association between the genetic structure of walnut populations and the evolution of languages. Genetic structures even converged between Tashkent and Samarkand in Uzbekistan, where the northern and central routes of the Northern Silk Road came together. This strongly suggested that traders carried walnuts east and west through Turkey, Iran and the Trans-Caucasus to Central Asia. It is likely they saved walnuts from the best trees, selecting those with the characteristics to produce high-quality nuts and possibly wood, and purposely planted them as long-term “crop investments.” This puts walnuts among the first known examples of planned afforestations. More broadly, the team’s findings are changing the way scientists think about ancient human tree-crop management. Until the team began its research, studies of early crops focused on annually harvested plants like wheat or maize. “Compared to what we know about the domestication of row crops, we know comparatively little about tree crops,” says Woeste. Studying tree crops takes longer, and it is more complex because it takes so much more time for generations of trees to grow and, consequently, even more years to select for desired traits. As a result, although cultivation of tree crops and annual plants may have started at about the same time in history, domestication of tree crops was not achieved until thousands of years after annuals, Woeste explains. 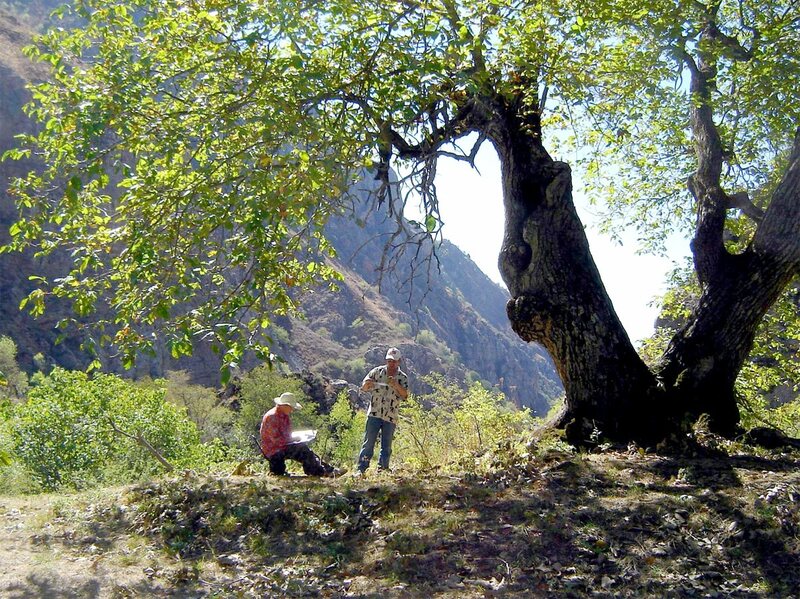 Working under a 200-year-old common walnut tree (Juglans regia), Evsey Alexandrovsky and Evgeniy Butkov of the Uzbekistan Scientific Research Institute of Forestry gather samples to be analyzed together with those from 38other sites from Turkey to China. Scientists also concluded that because of the long lifespans of perennials, they were propagated clonally by cuttings rather than seeds. They were associated with sedentarism. And they were first cultivated in the Middle East. But according to the recent study, the walnut appears to have had a much different trajectory. It didn’t follow the spread of agricultural crops. It was propagated entirely by seed (the nuts). It was cultivated more to facilitate mobility than sedentarism. 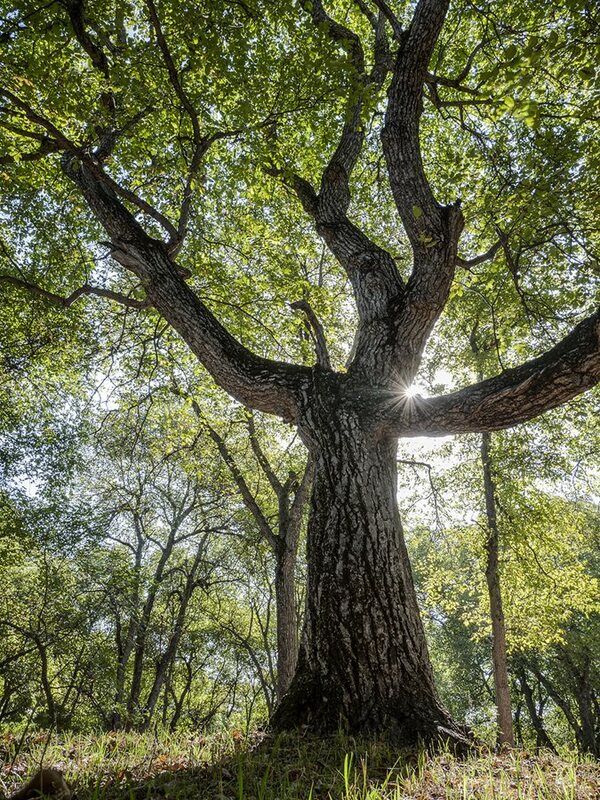 And the initial cultivation of walnut trees took place not only in the Middle East, but likely in Asia as well. The recent walnut study began with a project launched in Europe some 30 years ago to improve the reforestation of agricultural land using noble hardwood species including walnut, whose wood is valuable as timber. Western European governments were pushing to help save tropical forests and boost their own local production of high-quality wood. Walnut, which can be grown for both nuts and timber, also promised a degree of marketing ﬂexibility for European farmers. European research on common walnut (Juglans regia) at centers like the cnr Institute of Agro-environmental and Forest Biology (cnr-ibaf) in Porano, Italy, was in its infancy at the time. 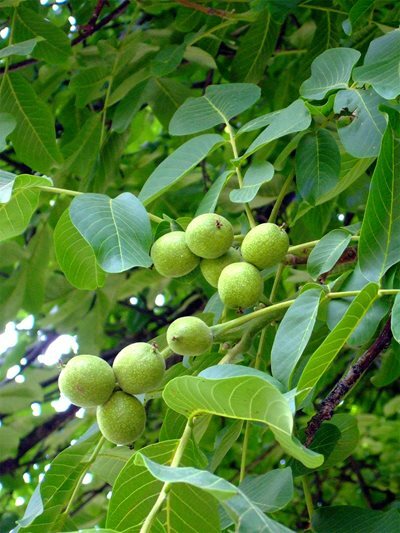 On walnut trees, blossoms grow into seeds, which mature to form a husk. When ripe, harvesters remove the husk to expose the hard shell that protects the seed: the nutmeat. an understanding how plants adjust their range in response to environmental change—and their relationship to humans. This led to fresh questions: How much have humans affected walnut genetic resources? And how much of the evolutionary history of walnut is connected to human history? Inquiries like these were not easy to address with 1980s genetic research technology. Moreover, access to most of the walnut ranges of south-central Asia was restricted politically. 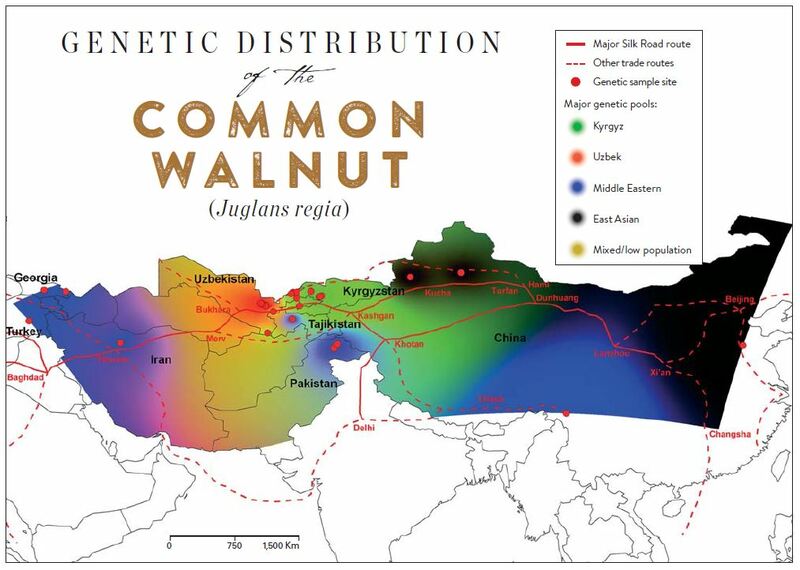 Delimited by the data collected from the study’s 39 sites, this map shows the distribution of the four major genetic pools of common walnut from western Anatolia to northeastern China. As the region gradually opened in the 1990s, scientists formed new collaborations to share genetic samples from walnut forests there. One such linking, in 2011, partnered cnr-ibaf, htirc and the Earth Trust in Oxford, England; in 2014, cnr-ibaf’s sister entity, the Institute for Archeological and Monumental Heritage (cnr-ibam) in Potenza, Italy, joined to research the relationship of the walnut’s genetics to the area’s history and culture. In its native range in Asia, common walnut thrives in isolated stands surrounded by arid lowlands, mountains and highland steppes. The team sampled and analyzed walnut populations—most of them previously unstudied—in China, Kyrgyzstan, Uzbekistan, Tajikistan, Pakistan, Iran, Turkey and Georgia. The locations spanned eight mountain ranges: Tien Shan, Gissar, Zaamin, Nurata, Pamir, Himalaya, Alborz and Trans-Caucasus. To investigate the human variable in the genetic equation, the team examined the 10 dominant languages around the sampled sites: Chinese-Mandarin, Uighur, Tibetan, Kyrgyz, Northern Uzbek, Tajik, Urdu, Persian-Iranian, Georgian and Turkish. The team broke these down into linguistic phyla (major families), branches and subgroups. Findings were striking: The evolution of major regional languages correlated with the spread of related walnut genetics. This strongly suggested that travelers along the trade routes were planting forests as long-term food supplies. Plant dna analysis is complicated. In his Purdue office, Woeste walks me through the team’s work to figure out the genetic makeup of the walnut. Intense and ebullient, he explains how they pulverized walnut leaves in a machine called a bead mill, and then “amplified” the extracted dna in a machine that uses lasers to “read” it. “It’s the same technology forensic scientists use to make ‘dna ﬁngerprints’ of criminal suspects,” he says. The team used specialized software to analyze and interpret “neutral genetic markers,” which are bits of dna that evolve fairly rapidly. Repeats of these are the “microsatellites”—the telltale output that “helps us differentiate individuals and populations from those more distantly related,” Woeste explains. With a lifespan of some 200 years, walnut trees such as this one near Arslanbob can grow to majestic sizes, sometimes exceeding a meter in diameter and 40 meters in height. But with eight years from seed to production of nuts, the selective breeding of walnut trees is a task of generations. The equipment to amplify specific regions of dna—those that identify particular characteristics—didn’t exist at the time of the original walnut project. And without the cost reductions resulting from work to map the human genome, the development of gps technology to locate sample locations precisely, and advances in computer processing to handle the billions of bits generated, the project couldn’t have been carried out. Still, Woeste says research like the walnut study often gets the technological hand-me-downs. In Porano, Italy, more than 8,000 kilometers east of Indiana, there are scientists who are very much interested. In the classically Umbrian Villa Paolina, I meet cnr-ibaf Director Angelo Massacci and lead walnut researcher Maria Elena Malvolti. Massacci explains that as well as undertakings like the walnut project, the group is working on others to “improve agroforest species’ tolerance to climate change.” This, he says, links the walnut project to the social importance of cnr-ibaf’s research, funded by both universities and industries. LEFT: In the village of Khypsta, Georgia, a woman makes churchkhela, a traditional Georgian sweet of threaded walnuts, hazelnuts and raisins dipped in fruit juices and dried The recent study shows that walnuts found in this area of Georgia are genetically similar to varieties in western China. RIGHT: outside her home near Nanchong city, in southwest China’s Sichuan province, Eld Li Suying dries walnuts. It is here where, thousands of years ago, nomadic Indo-European and proto-Turkic tribes helped spread walnuts to eastern China and westward, across the deserts and mountains as far away as Turkey. The next day Malvolti takes me to the genetics laboratory to meet one of the lead researchers, Paola Pollegioni, and archaeologist Stefano Del Lungo, who oversaw the ethnolinguistics of the study. She points to one of the project’s maps. It shows five significant South Asian barriers, and different colors signify different walnut gene pools. The green one, for example, includes China, and barriers here are the Karakorum Desert and the Himalayas. Heavier lines represent stronger barriers, like the Hindu Kush Mountains that separate China from Afghanistan, that also form the boundaries of languages. “For example, in China the word for walnut is identical in the east part and the west during the Han Dynasty,” she says. This corresponds to the similarity in the distribution of walnut genetic data that the team found. The Han Dynasty covered most of eastern China and lasted roughly four centuries, until 220 ce, spanning much of the early Silk Roads era. "We think we have the genetic tools available now to learn a great deal about how tree crops have changed over time," Woeste says. Del Lungo explains they found that where few or no great barriers exist, words for walnut are similar across languages. For example, the variations of the word walnut in Kazakh, Kyrgyz and Uzbek, all Turkic languages, change slightly with their respective renderings of jañgaq, jangak and yong’oq—all of which have arisen from the Old Turkic yaq, meaning near. On the other hand, the earliest designation for common walnut in ancient Chinese-Mandarin, in a region geographically separated from adjacent Kyrgyzstan by the Kakshaal Range, is far different: hú táo (“foreigner’s peach”). In Pakistan, separated from China by the 7,700-meter-high Hindu Kush, it’s akhrot. Among Tajiks, it is gerdoo. Afghans and Turkmens adopted g’oz and hoz, from the Old Persian gawz. In Arabic, walnut is juz. 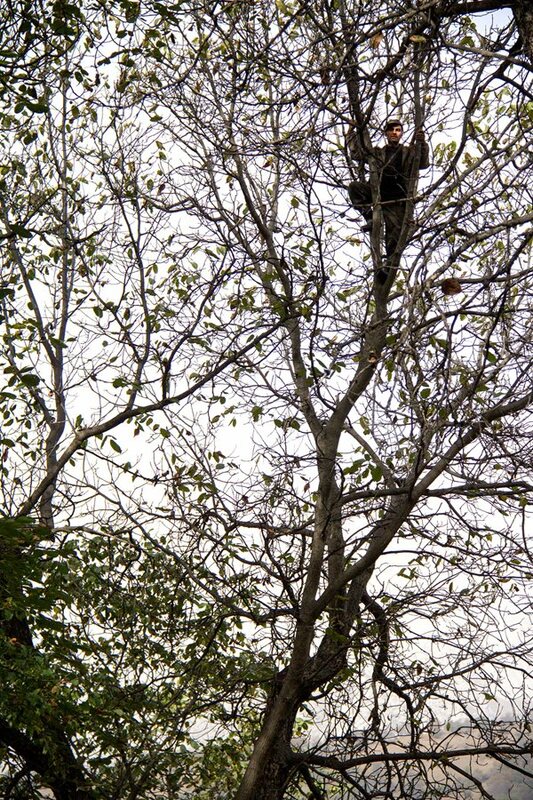 During the harvesting of walnuts near Arslanbob, it is the men of the family who usually climb the trees and shake their branches, releasing the walnuts to the forest floor where women and children collect them. Bags of walnuts are left on a makeshift pallet during the harvest season in Arslanbob. 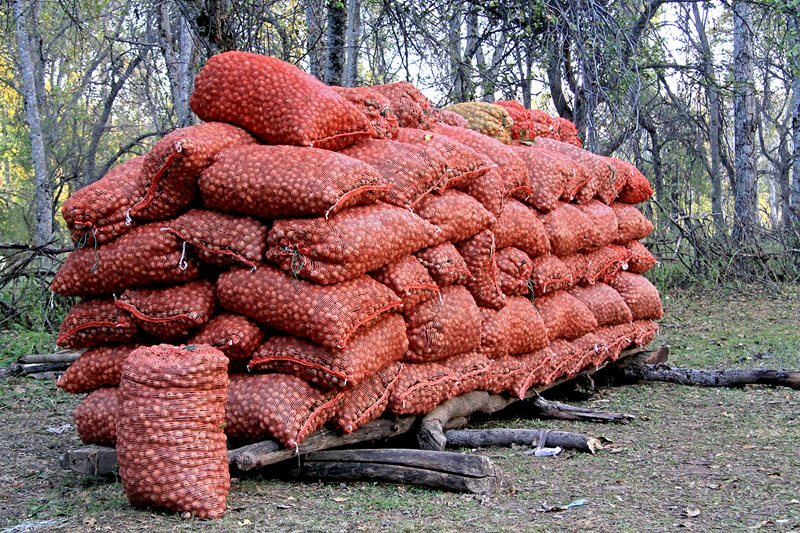 To pay for leasing a section of the forest, families leave half of their yield behind for the forestry department. In a good year, one family can harvest two to three tons. Nor can the team be certain at this point what traits in walnuts the early travelers were looking for in making their selections for planting. Pollegioni speculates that “they had to pick ones with a thin shell and larger size … and also maybe for taste.” But because walnuts do not cross-pollinate, “every time you use seeds to propagate, it is easy to lose an interesting characteristic,” she says. Results of projects like the walnut-research effort are turning the spotlight on the term “domestication” itself, especially as it applies to tree crops. To many scientists, it isn’t well deﬁned. Although walnut’s strong, lustrous and workable wood may also have contributed to its dispersal, planting and maintenance, the researchers see little evidence that the afforestations were also for timber production. “Remains of walnut wood in the archeobotanical record are rare,” says Malvolti. In December 2015, scientists at the University of California, Davis, sequenced for the first time the genome of a commercial walnut variety. Thanks to technological advances, the past decade has seen an intensive uptick in studies that improve understanding of crop domestication and diversification. But much of the work continues to focus on annual crops, particularly cereals. That leaves out perennial crops—notably nut- and fruit-tree species—that often have diverse life histories and reproduction systems and are likely to evolve in ways distinct from annual crops. “The generations of domestication [required for trees to evolve] is a big reason for this lack of attention,” says Malvolti. Although it appears that “humans began domesticating annual crops and trees at roughly the same time, the number of crop generations of human selection and improvement differs greatly for annual versus perennial plants.” Hence, she reckons, humans are not anywhere near the same milestones with understanding trees as for the annual crops. Walnut ready for harvest in Arslanbob. Genetic manipulation (gm) could change that. In December 2015, scientists at the University of California, Davis, sequenced for the first time the genome of a commercial walnut variety. That could drastically shorten breeding cycles and help select for desired traits like insect and disease resistance and drought tolerance. And gm won’t help in determining walnut’s role in ancient human tree-crop management. What is needed is to sample a truly isolated natural walnut population for comparison—perhaps from a highly circumscribed area such as Bhutan, where a “pure“ form of walnut may have evolved without external influence, Woeste says. Bar-Yosef maintains that the matter of origin must also be settled through research. “Once they were planted and dispersed, you can find them in various regions, connected or not,” he says, noting the importance of the “communication roads”—the “Silk Roads”—highlighted in the walnut projects findings. And beyond walnuts, the relationships of people to propagation may not be unique. 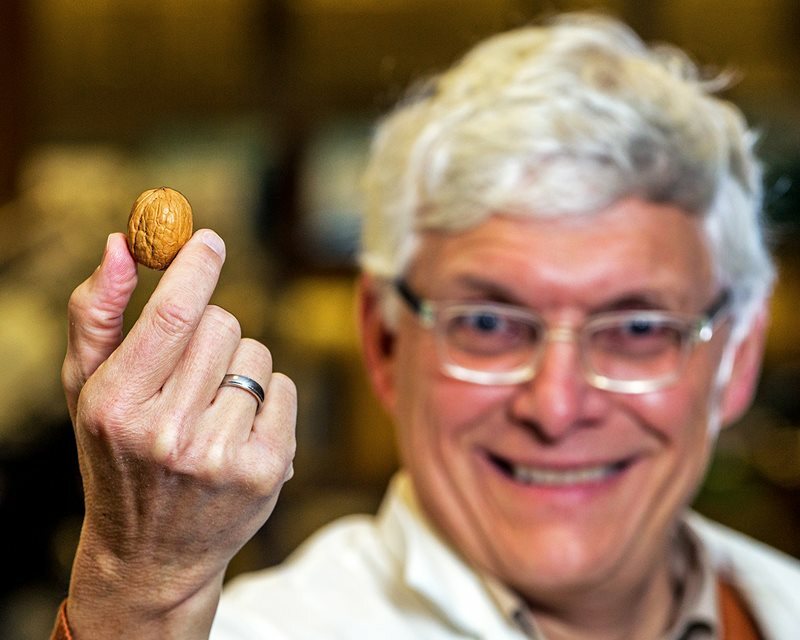 Researchers have studied the genetics of other nut crops prevalent in the region like hazelnut and pistachio, but haven’t yet written papers about the relationship between “human cultural history and the genetics of their favorite crop,” says Woeste. As at its origins, the work is less about the mysteries of past human relationships with walnuts and more about new research directions worldwide. Challenges include developing alternative tree-cropping methods to reduce the devastating impact of the exploitation of tropical hardwood forests and finding techniques to enable nut and other crops to survive emerging conditions of climate change. Our hungry Silk Road traveler who stopped to crack a walnut two millennia ago was probably unaware that his humble sustenance might mean anything to the future of humankind. That is, unless he was saving some of his snack to plant a new forest along his way.